events such as bridal showers, weddings, baby showers, engagement parties, housewarming parties and more! We service all areas Gold Coast, Brisbane and surrounding areas. We offer special high tea catering packages, delicious canapés, gourmet platters, custom cakes and styled dessert tables for our clients. 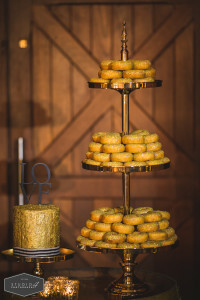 We also make to order a variety of custom showpiece items such as strawberry towers, macaron towers, doughnut towers and doughnut walls for events. We love combining delicious food with with beautiful styling to create unique experiences. This includes food stations such as taco bars, gelato stations, pancake stations, picnic hampers, styled brunch platters and more! Our goal is to make organising your next event simple and stress-free. This is why we also offer event planning, styling, equipment hire,crockery hire, chefs and wait staff along with our catering. We are also very happy to work with your other vendors such as stylists/planners to ensure you next event is exactly how you imagined! How do I book or get a quote? Yes all of our catering services require a non-refundable deposit of $100 for smaller events and $200 for larger events/orders to secure your date with us. No, all website prices are listed excluding GST. GST amounts will be shown at checkout. Bank transfer is our preferred payment option, however we also accept Paypal and credit card. It is always best to book as early as possible to avoid missing out. We understand accidents do happen. If you have hired equipment or china from us and you have a breakage, you will be charged for the replacement cost.